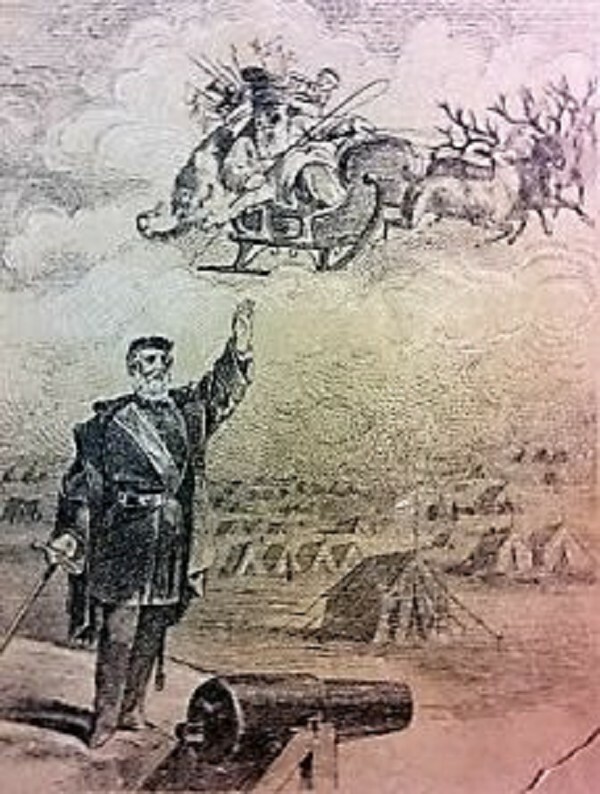 Fanciful connection between Gen. Robert E. Lee and Santa Claus illustrates 1867 book at Clements Library. A strange artifact from Civil War days is found in the archives of the William Clements Library at the University of Michigan. It is a poem by Louise Clack written in 1867 about how Confederate General Robert E. Lee might have interacted with Santa Claus. Referencing a book in its collection, "General Lee and Santa Claus," Clements holiday blog observes: "Tying Santa to the historical realities of post-bellum children's lives made him and his magic more believable." Promotional copy about the book, still selling well on Amazon.com at $3.64, summarizes the story: "Three young girls in the rebel South worry that Santa Claus doesn't really love them, since he has not visited them in four years, and they write a letter to General Robert E. Lee, asking his opinion." "Another example of how Americans grounded Santa in the historical moment can be found in Louise Clack's 1867 General Lee and Santa Claus. This volume features a story about three Southern girls arguing about Santa, with one angrily proclaiming "he wasn't a rebel. I know he wasn't, for he never came to the Southern children for four Christmas Eves. 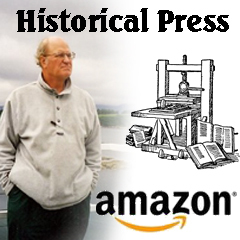 "Intended to be read by children recovering from the anxieties and traumas of the Civil War, the book acknowledges the hardships experienced in recent years. "The children write to General Robert E. Lee, a trusted and beloved Confederate figure, to determine whether Santa "was our friend." The return "letter" from Lee proclaims Santa "one of the best friends that the little Southern girls have," and explains that he met Santa during the first Christmas Eve of the Civil War, crest-fallen at not being able to travel South to deliver toys on account of the war. He encouraged Santa to instead "take every one of the toys you have back as far as Baltimore, sell them, and with the money you get buy medicines, bandages, ointments and delicacies for our sick and wounded men." "Thus, Santa joins the rank of war heroes and the girls' worries about paltry Christmases are addressed." The Washington & Lee University observes: "The book casts, for perhaps the first time, the venerable General Lee in the dual role of arbiter of Confederate defeat and proponent of national reconciliation. "The fact that Lee's image was deemed appropriate for use in a children's book attests to his sweeping influence, and demonstrates the profound impact his exemplary life had on younger generations in the decades following the Civil War." The Clements blog reports that the staff is beginning to box up and pack the huge historical collection, that originated in Bay City when Clements was president of the Industrial Works in the 1920s, for a move back to its newly renovated building on campus.